Keeping the septic system at your home or business place operating properly is very essential. Any malfunctioning in it can bring your life to an abrupt halt. Thankfully, VAC-TEC LLC. is here to help get things back on track by providing professional services for emergency septic repair in Seattle, WA. Even a few hours of a broken septic system can create unhygienic conditions in any functional residential or commercial property. We understand this and are available 24/7 to perform emergency septic repair and get the systems of our customers up and running ASAP. Being a service-oriented, customer-friendly business, we advise all property owners to be particular about septic care and maintenance. This will minimize the septic problems cropping up all of a sudden and sending them rushing for emergency septic repair. You should call us for septic system inspection at regular intervals and for septic tank pumping done 3-5 years. However, we are also ready at all times to attend to your emergency septic pumping & cleaning requirements in Seattle. Whether you happen to need our emergency septic pumping & cleaning services due to lack of timely tank maintenance or uncommonly excessive load on the system, we have you covered. Just like most property owners, you may realize the importance of septic system maintenance but neglect or forget it in your hectic daily life. 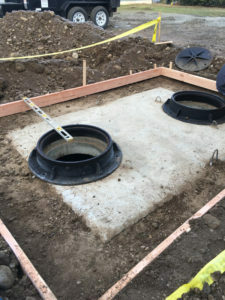 Therefore, when you find that the septic is overflowing or the toilets are backing up, you call us for emergency septic pumping & cleaning in your Seattle property. VAC-TEC LLC. is the expert to call for emergency septic repair or emergency septic pumping & cleaning in Seattle. Dial (206) 339-0039.